Building off of the success of #NACBACHI NACBA is hosting the 24th Annual Convention in San Francisco on May 19-22, 2016 at the Downtown Marriott Marquis! The 2016 Annual Convention is an experience you won’t want to miss! The forms typically used in a divorce case. Basic topics addressed in a divorce case and the impact on a bankruptcy filing. The automatic stay and its exceptions as they apply to family law matters. Dischargeability of common debts in a family law case. The importance of choosing the right bankruptcy chapter. How to determine whether a debt is for support or property division, and preference concerns after a divorce. Want a recap of the 23rd Annual Convention? Sign up for one of the Playback NACBA packages from the 2015 NACBA Convention in Chicago for access to session recordings. 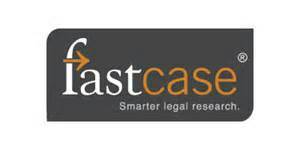 Each NACBA member receives FREE, as part of his/her membership, access to Fastcase’sbankruptcy database. In addition, NACBA members are eligible to purchase Fastcase’s“Premium Plan,” which includes access to a database of opinions of the supreme courts and courts of appeal of all 50 states, at an annual rate of just $195. This is a significant discount from the non-member annual price of $995. In the market for new opportunities? Visit the Career Center today. Keep your NACBA Membership current Renew Today! Receive the latest headlines everyday! Subscribe to NACBA NOW!